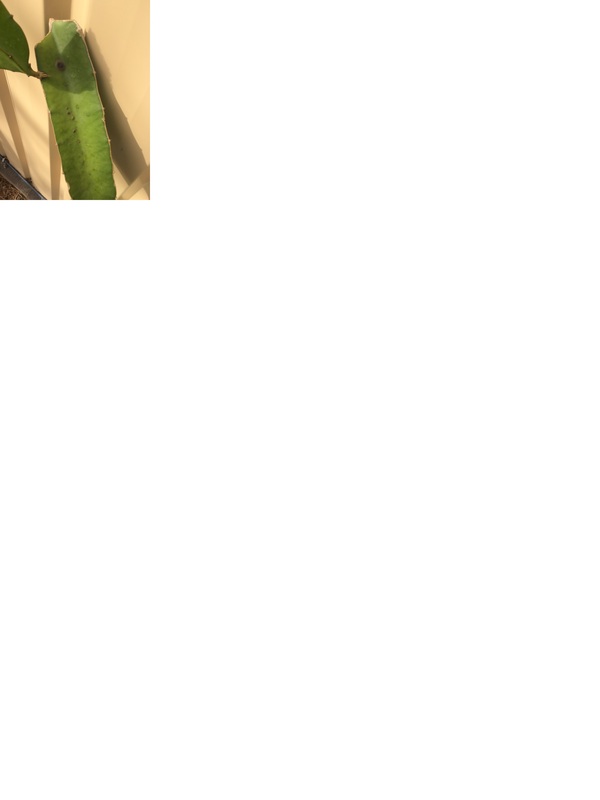 Hi, when I purchased my dragon fruit they had some kind fungus / bacteria spots that were like orange bumps which turned brown and rotted a bit. I tried spraying them with copper sulfate as daleys recommended to try kill off the infection. 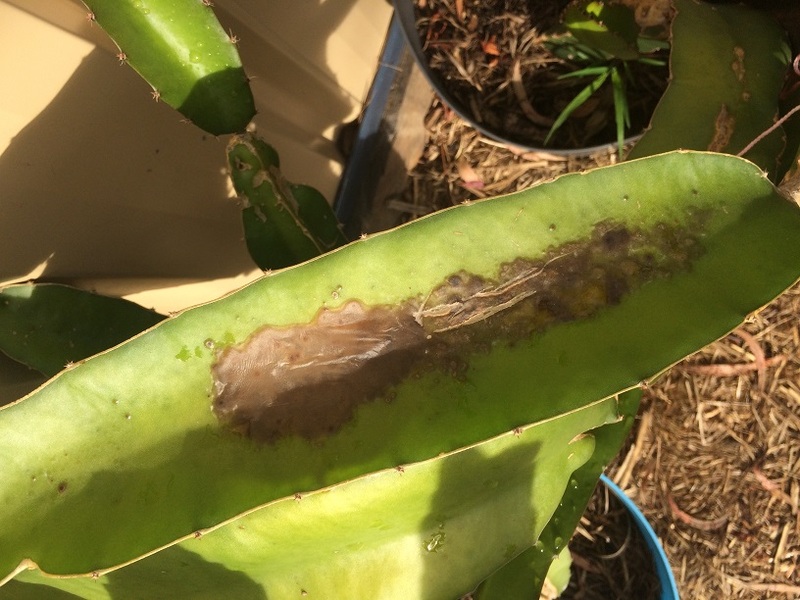 After a about 5 months the infection has come back and spread to my other dragon fruit trees. I have had to cut them right back losing about 2 years worth of growth and have sprayed them again. Is there anything I can do to get rid of this. Almost at the stage where i'm thinking about ripping them all out but it would be such a shame to do it now. They are all different types as well. The red dragon fruit were the worst affected with the yellow and white still infected but much less. It could have been much easier to identify the disease if you have uploaded an image of your sick DF. Anyway, it might be Botryosphaeria Dothidea infection according to your description. Fungal infection with DF is hard to treat. 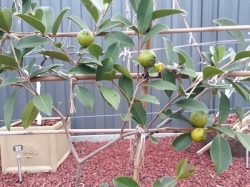 According to a research study done to control this disease the best practice should be in combination of sanitation, pruning of affected branches and regular alternate spraying of a contact and systemic fungicide to avoid the pathogens developing a resistance against the chemicals. The most effective fungicide against B. Dothidea (Fenarimol, Prochloraz mc and Bitertanol) should be alternated with a contact fungicide (Mancozeb). Avoid spraying these chemicals when temperature is forecasted to exceed 30C to avoid burning of the stems. Always follow the manufacturers specs for correct dosage and application. Hi Fruitylicious, thanks for your reply. After googling the fungus you mentioned it looks exactly like what you said. I'm not sure if you have any experience treating it, but is this something I am better off trying to treat or is it always going to come back and kill all of my trees. I had a about 5 reasonably mature trees and since planting the ones from daleys next to it I am down to three as the rot was so bad at the base, I ended up throwing them out in an attempt to reduce the spreading as well as extreme pruning as it was on lots of the branches. Do you know if I need to treat the soil as well? I have attached two photos i had taken before i threw it all out. Thanks again for your help. I get a similar rot in prolonged wet weather. If it is on a branch I just prune it off. If its on the trunk scoop it out with a plastic spoon and let it dry out. The vascular core is usually uneffected and the plant recovers fine. My condor lost all the green tissue between 2 internodes on the main stem in all the wet this summer. The core has callused up, and some fruits aborted, but all good now. I have had this problem for a few years , I I found hosing through the rot to clean it out does fine , plants have a few Swiss cheese holes but still produce fine .